A longtime political operative and Donald Trump confidant has claimed he was poisoned with “what may have been polonium or had the characteristics of polonium”—the same substance used to kill a former Russian secret service agent who fled his home country. Polonium is a rare yet highly radioactive chemical element, reportedly used to kill Russian spy Alexander Litvinenko in 2008. There’s been speculation that Litvinenko ingested the substance after it was slipped into his cup of tea. His death sparked a lengthy investigation in the U.K., where he died and had sought asylum. In 2007, he wrote a Daily Mail opinion piece saying he believes the Russian government wanted him dead. At the same time, Stone is also pushing a new book, “The Making of the President 2016: How Donald Trump Orchestrated a Revolution,” which will come out on Jan. 31. 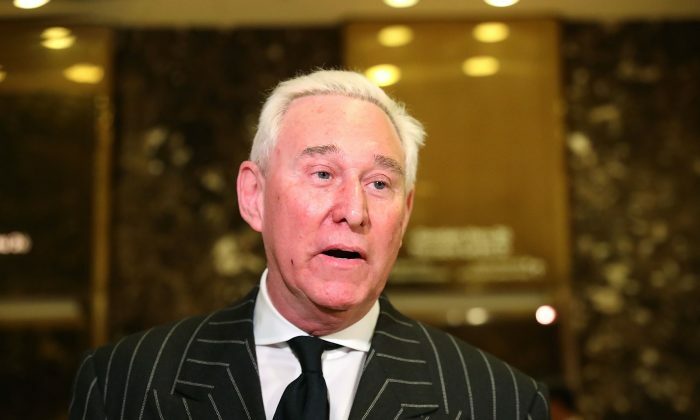 On social media, some accused Stone of faking his poisoning claims to sell his latest book. On Stone’s Twitter page, he prominently features his book. In a recent post, he wrote: “Why did the Deep State want to KILL my book ? I expose the CIA’s Russian hacking canard.” It also includes a picture of it. He’s best known as a political operative and opposition researcher, namely for Republicans. In 2016, Stone was banned on CNN and MSNBC for Twitter posts that criticized television personalities. Meanwhile, Sen. Ted Cruz, as he was campaigning against Trump in the primary in 2016, described Stone as a “man who has 50 years of dirty tricks behind him” and is a “henchman and dirty trickster” after unsubstantiated claims emerged about Cruz’s personal life. And after Nixon won the 1972 presidential election, Stone worked for the administration in the Office of Economic Opportunity.